Meet your new favorite flying toy! 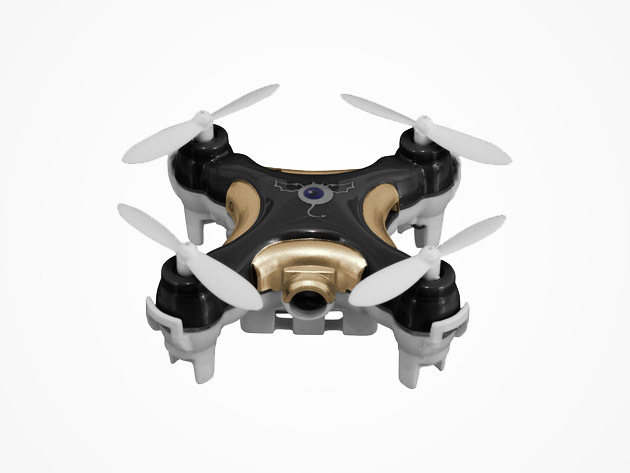 The Cheerson CX-10C Nano Drone with Camera is a tiny quadcopter is small enough to rest on the tip of your finger, and can easily maneuver through small spaces with acrobatic finesse while recording crystal-clear video and photography. Users can easily control the drone even in the tightest spaces via side flight, hover, flip & hand launch capabilities. You can even give your friends some UFO-speculation excitement at night, thanks to its built-in LED lights.